Friday Night, July 7, 2017 is Pajama Night! Sassy little diva Junie B. Jones’ first day of first grade and a lot of things have changed for her: Junie's friend Lucille doesn't want to be her best pal anymore, and on the bus, Junie B. makes friends with Herb, the new kid at school. Also, Junie has trouble reading the blackboard and her teacher Mr. Scary thinks she may need glasses. Throw in a friendly cafeteria lady, a kickball tournament and a “Top-Secret Personal Beeswax Journal,” and first grade has never been more exciting! 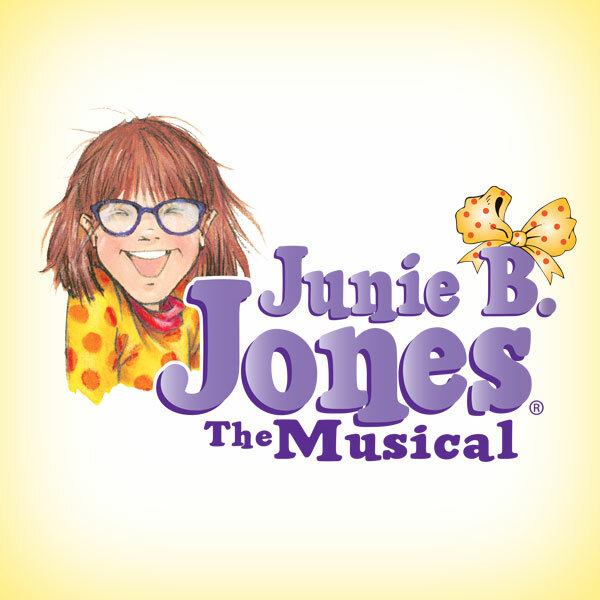 Created by Marcy Heisler and Zina Goldrich, the team that brought you Dear Edwina, comes Junie B. Jones The Musical - a delightful adaptation of four of Barbara Park’s best-selling books brought to life in a genuinely comical, and not strictly-for-kids musical developed by TheatreworksUSA. For more about the Junie B. Jones books, visit www.juniebjones.com or a bookstore near you! ASL-Interpreted performance, 2pm Saturday, July 15, 2017. Sensory-Friendly performance, July 15, 2017. Call for more information. Junie B. Jones, The Musical is adapted from the books Junie B. Jones is a Graduation Girl, Junie B. Jones First Grader at Last!, Junie B. First Grader Boss of Lunch, Junie B. First Grader Toothless Wonder and Top Secret Personal Beeswax, a Journal by Junie B. (and Me) by Barbara Park. Copyright © 2001, 2001, 2002, 2002, 2003 by Barbara Park. Originally produced by Theatreworks/USA. Presented through special arrangement with Music Theatre International (MTI). All authorized performance materials are also supplied by MTI. 421 West 54th Street, New York, NY 10019. Phone: 212-541-4684. Fax: 212-397-4684. www.MTIShows.com. Production sponsored in part by the City of San Diego Commission for Arts and Culture, the City of San Diego Park and Recreation Department, and the County of San Diego.